Many biscuits on the market today contain palm oil and controversies abound as to the sustainability of its use. 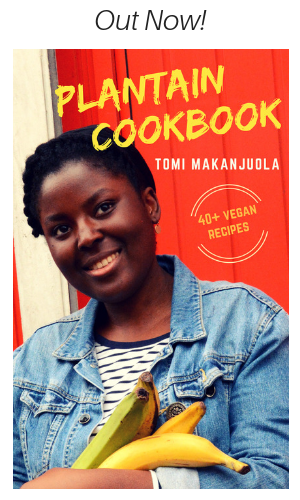 To give a brief snapshot, the rising demand for palm oil in countries such as Malaysia and Indonesia has contributed to the destruction of millions of acres of tropical rainforest in recent years, affecting the home of several endangered species. 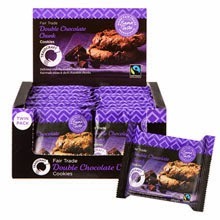 The great thing about this cookie range by Traidcraft is that the palm oil used (also referred to as FairPalm) is sustainable, fair trade and sourced from smallholder farmers in West Africa. 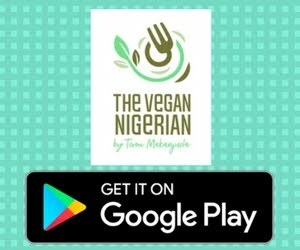 The company works with the farmers in a way that ensures they are paid fairly for their produce, while also making sure that the environment is not destroyed. The fair trade premium paid on every order of FairPalm is used to fund local community projects such as the installation of simple water systems. In being introduced to this range, I feel like I have gained a lot of insight into the environmental and societal impact of palm oil production. If you would like to find out more about the great work that this company is doing and how they strive to make a difference in the lives of individuals in developing countries (through fair trade), then head over to their website! 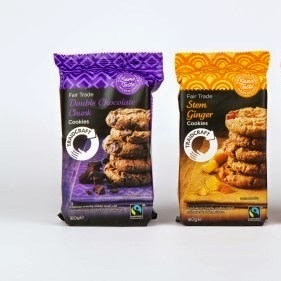 I had the opportunity to try out two flavours in Traidcraft's cookie range which happen to be vegan: Double Chocolate Chunk and their bestselling Stem Ginger. Aside from the fact that they are ethically produced, these cookies score top points from me in terms of taste. 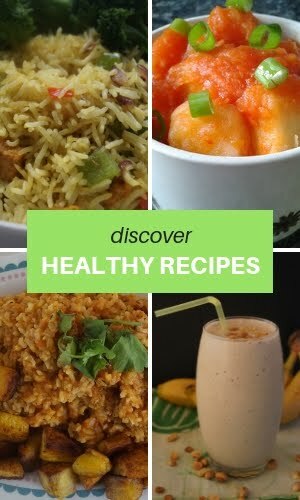 My personal favourite is the double chocolate, which is rich, indulgent and moreish - everything you'd imagine a delicious chocolate cookie to taste like. It is seriously melt-in-the-mouth gorgeous. In my pre-vegan days, I liked Maryland cookies as an occasional treat and I'm tempted to say that these cookies taste just as good, if not better. 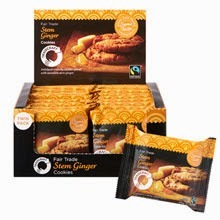 The stem ginger cookies were delicious but I would have liked them to have an even more fiery ginger taste! 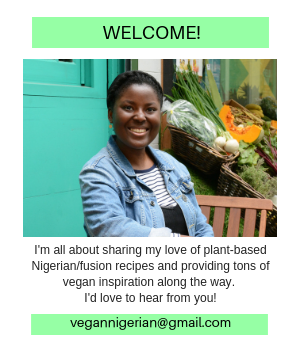 As you probably know, palm oil is used in a lot of Nigerian savoury dishes and I have to say that I'd never really thought of using it in sweet treats such as cookies, mainly because I imagined the palm oil flavour would be too overwhelming. Thankfully, this is not the case with these cookies - the intended flavours shine through nicely and once you get started, it's very hard not to eat the whole pack in one sitting!